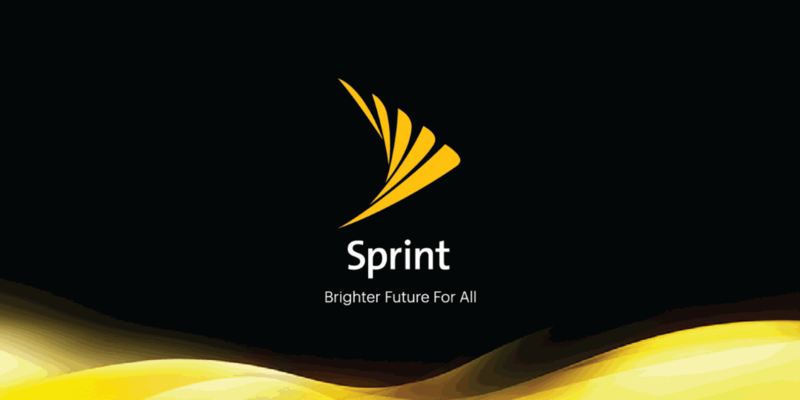 The Sprint Corporation evolved from the Brown Telephone Company which was founded in 1899. The company provided phone service in Kansas. It grew substantially over the years and by 1925 it had become known as United Telephone and Electric. When the Great Depression hit, the company suffered financial ruin and had to reorganize under bankruptcy. It emerged out of bankruptcy in 1938 as United Utilities incorporated. In 1972 it changed names again to become United Telecommunications. It was in 1983 that the company began offering cellular phone services in select territories under the brand name Telespectrum. In the late 1970’s the Southern Pacific Communications Company (SPCC), a subdivision of the Southern Pacific Transportation Company began providing long distance telephone service. The corporation also offered a fax service called SpeedFAX. SPCC wanted to give a name to its telephony service to differentiate it from SpeedFAX. An internal naming contest was run, and the name SPRINT was chosen. Sprint was an acronym for Southern Pacific Railroad Internal Network Telecommunications. Sprint started off in six major metropolitan areas, New York City, Boston, Philadelphia, Los Angeles, San Diego and Anaheim. In 1982, the General Telephone & Electronics Corporation (GTE) purchased SPCC and renamed the company GTE Sprint Communications Corporation. In 1986 GTE Sprint merged with some properties owned by United Telecommunications and became known as US Sprint. It was considered a joint venture co-owned by GTE and United Telecom. In 1989 United Telecom purchased a controlling interested in US Sprint, and by 1991 it had completed an acquisition of the company. In 1992 US Sprint was renamed to the Sprint Corporation. In 1993 Sprint acquired the Centel Corporation which once again gave them a position in the cellular markets. In 1994 Sprint’s existing cellular operations were spun off for regulatory reasons as the company planned to offer new cellular service in the PCS bands which it had began purchasing that same year. In December of 2004, Sprint again merged with a company, this time Nextel Communications. The new company was called Sprint Nextel Corporation. At the time of the merger, Sprint and Nextel were the 3rd and 5th leading wireless providers in the USA. The merger proved to be a financial disaster for Sprint. It had to write down $29.7 billion of the $36 billion it had paid for Nextel. That wiped out 80% of the value that Nextel carried at the time it was acquired. In October of 2012, a Japanese telecommunications company called SoftBank announced that it intended to purchase 70% of Sprint Nextel. The acquisition was completed in July of 2013. In late April of 2018, Sprint agreed to be acquired by T-Mobile. The deal currently awaits regulatory approval. Sprint SIM cards and service plans can be purchased at national retail outlets throughout the country and directly from Sprint stores. Plans, SIMs and phones can also be purchased online through Sprint’s website. Sprint carries a variety of phones from major brands including Apple, Samsung and LG. Phones are sold at a variety of different price points to best suit the customer’s budget. Bring your own device is also supported as long as the device is on Sprint’s approved devices list. Many universally unlocked phones from Motorola and Samsung qualify for BYOD. Sprint Customer support is available over the phone, through live chat, social media and an online community forum. Support is available 24 hours a day 7 days a week. Sprint will unlock your device for you as long as it is paid off in full and your account is in good standing. The device must also not be reported lost or stolen. Sprint requires the device to be active on the network for a minimum of 50 days before they will unlock it. If you have a device lease with Sprint, the purchase option must be exercised before it can be unlocked. The device must also be SIM unlock capable. Most phones sold in the past few years are. If you have a Sprint Prepaid device, it can be unlocked if it has been active on Sprint Prepaid for at least 12 months and the account is still active at the time the unlock has been requested. The device also must not be reported lost or stolen. If your device is old and inactive, you may be able to call Sprint and have it unlocked.